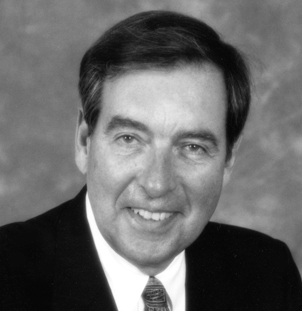 Judge Richard McQuade Jr. was appointed to the U.S. District Court (N.D. W.D. Ohio) in 1986 by Ronald Reagan. He also served by designation on the Sixth Circuit. He is a former President of Blue Cross/Blue Shield of Ohio, also serving on the Board of Directors for over 20 years. Earlier in his career, he was a Judge of the Ohio Common Pleas Court and the Fulton County Prosecuting Attorney. Hon. Richard McQuade has over 30 of years experience judging, mediating, and arbitrating complex, multi-party disputes involving as much as $500 million. He has successfully resolved numerous disputes involving Fortune 500 companies. Shareholder derivative suits and partnership rights are common topics of his dispute resolutions. His business experience gives him a quick understanding of the issues and provides a basis for his unique, innovative strategies to resolve issues. Richard McQuade has arbitrated and mediated numerous cases involving insurance coverage and bad faith claims. Several successful resolutions have involved price-fixing and other anti-competition claims. Many of Richard McQuade’s arbitrations and mediations involve Personal Injury and Wrongful Death claims. Richard McQuade’s years of experience with jury verdicts puts him in a unique position to evaluate liability and damages and to accurately assess settlement values. He has presided over several Superfund cases while serving in the United States Courts. Since that time, he has successfully mediated Superfund and toxic tort cases involving air, ground, and waterborne chemical dispersion. Jude McQuade has successfully resolved numerous malpractice claims, including legal, medical, architectural, engineering and accounting. Richard McQuade has resolved a number of class action lawsuits for Fortune 500 companies. He has been called upon frequently to give his opinion as to the fairness of class action settlements. He is familiar with the subtleties needed to craft successful solutions. Richard McQuade has successfully arbitrated and mediated construction defect claims involving tens of millions of dollars. A significant part of Richard McQuade’s practice has involved resolving Title VII and ADA type disputes. Three-week arbitration in San Francisco involving an accounting malpractice claim brought by a nationwide financial institution against a major accounting firm. Two-week arbitration in St. Louis involving a construction claim brought by an international company against a large, national construction contractor. Two-week multi-party, multi-claim construction arbitration in Covington, Kentucky. One-week arbitration in Salt Lake City involving a consumer claim against a nationwide bank. Two-week arbitration in Cleveland brought by a construction subcontractor against a large general contractor. One-week arbitration in Cleveland brought by an independent contractor against a major tool manufacturer. One-week arbitration in Toronto, Canada involving a claim of defective software. Two-week arbitration in Sandusky, Ohio involving a claim of accounting malpractice. Two-week arbitration in Cleveland involving patent and trademark infringements against a major European company. One-week arbitration involving a major international manufacturer charging a company working as its independent contractor with theft. Arbitration with a major international manufacturer involving claims of product liability and breach of contract against an equipment manufacturer for loss of production. Two-week arbitration involving employee claims against a former employer. One-week arbitration in Bloomfield Hills, Michigan involving an alleged defective computer software design. One-week arbitration in Cleveland involving a churning claim against a national brokerage firm. Richard McQuade has mediated and arbitrated disputes across the country, including New York, Los Angeles, Chicago, San Francisco, Boston, Atlanta, Denver, Cleveland, Columbus, Cincinnati, Toledo, Akron, Dayton, Youngstown, Pittsburg, Fort Lauderdale, Minneapolis, New Orleans, Ann Arbor, Cedar Rapids, St. Louis, Milwaukee, Waco, and Des Moines. Mediated class action claims against major refinery for spill. Mediated scores of FELA claims. Mediated numerous claims of police brutality. Former President of Blue Cross Blue Shield of Ohio. Served on the Board of Directors of National City Bank. Case Western Reserve University Weatherhead School of Business (Finance). Serves on the Board of Trustees for The University of Toledo. Shareholder derivative suits are common topics of his dispute resolutions. His business experience gives him a quick understanding of the issues and provides a basis for his unique, innovative strategies to resolve issues. Richard McQuade has resolved many disputes concerning partnership rights. He has also mediated partnership dissolutions. A large part of Richard McQuade’s mediation practice involves resolving Title VII and ADA type disputes. AAA Arbitrator Ethics & Disclosure (ACE003), 2006; AAA Commercial Arbitrator II Training, Detroit, MI 9/’02; AAA Arbitrator Update 2001; AAA Commercial Arbitrator Training, Southfield, MI 3/’00; Faculty, AAA Large Complex Case Program Arbitrator Training, Cleveland, 10/’95; AAA Large Complex Case Program Mediator Training, Cleveland, 10/’93; AAA Large Complex Case Program Arbitrator Training, Cleveland 6/’93; and various other ADR training programs. Admitted to the Bar, Ohio and United States Courts. J.D., The University of Toledo College of Law. Contributing Editor and Lecturer, “New Ohio Criminal Code,” Ohio Legal Center Institute.